Guest Post | July Empties! Can you believe it’s Monday? Where did the weekend go? I’m back with another blog post today and this is my July empties! I can’t believe its end of of July already! I read a tweet over the weekend that said it was like 150 sleeps to Christmas – O M G!! 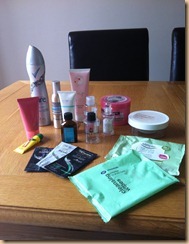 So, back to the job in hand, these are the products that I have used up this month, quite a selection as you can see. 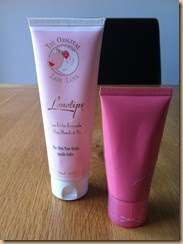 I’ve used up two hand creams this month, the Soap & Glory Hand Food and the Lanolips Rose Balm Every day lanolin balm. I loved both of these hand creams, I am a big fan of Soap & Glory, I really love the scent and the products all seem to be of really good quality. I loved the Lanolips hand balm as well, I’ve never used anything like it before. You rub it into your hands and it has a really sticky consistency but then in an instant it just rubs away and has completely soaked into your skin. I could use this of a morning and then not really need to moisturise again through the day even after washing my hands. I was really impressed with it, it is quite expensive though, I think around £15.00 but I got this with my points on my Boots card, I don’t know if I could justify spending £15.00 on a hand cream. I used up the Soap & Glory Righteous Butter body butter this month and absolutely loved it. This is the one for really really dry skin. It did a really good job the only disappointment for me was that it literally left my skin feeling “clammy” all day, the lotion obviously sank into my skin but I would go to bed of a night after putting this on in the morning and I could still feel it sitting on my skin. This wouldn’t put me off using it again but I do tend to prefer a body lotion or body butter that sinks into the skin more. I’ve used up quite a few hair products this month. 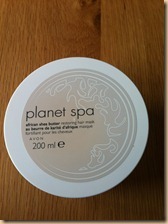 So I used up the Planet Spa from Avon African Shea Butter Restoring Hair Mask which I liked and which smelt yummy (like Rice Pudding) but I’m not sure it actually did anything for my hair. I would buy this again however as it smells so good and left my hair smelling fab after it had been washed! 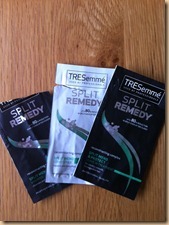 I used the Tresemme Split Remedy Split Mend Shampoo, Conditioner and Leave In Treatment. 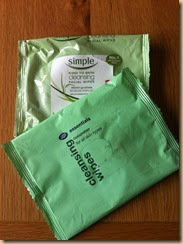 These were sample sachets that I received with an online order from Dorothy Perkins. I really like the Tresemme range, I love the scent and it has always seemed to be compatible with my hair. I can’t really pass on opinion on this because I only got one use out of it and you can’t really tell if a product is of any benefit if you only get one use out of it, I think I would like to try it longer term though, I do suffer with dry and split ends so anything that will help my poor damaged locks out is a winner for me! I really, really love this stuff. I love the smell and how glossy and smooth it has left my hair feeling when I have used it. As I knew I was coming to the end of this I went out and bought the Lee Stafford Argon Oil which I also really like. 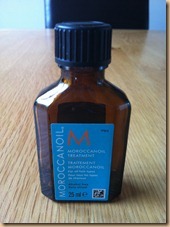 I’m not sure that the Moroccan Oil does anything different to the Lee Stafford oil, this also leaves my hair feeling glossy and smooth after use. The obvious difference between the two is the price, the Lee Stafford is cheaper than the Moroccan Oil and does deem to be as good. I’ve used up both of these packs of face wipes this month, the Simple Kind to Skin wipes and the Boots Essentials Cucumber Cleansing Wipes. I liked both of these and always tend to pick them up when they are on offer in Boots. I’ve used up three more shower gels this month. I used up the Noble Isle Summer Rising shower gel which was a sample I got in a GlossyBox a couple of months ago. I really liked this, the scent was really strong and stayed with me all day, I know a lot of people don’t really like strong scented shower gels but I really do. 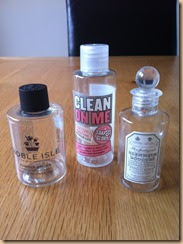 I used one of the Soap & Glory Clean on Me Shower Gels which has the classic Soap & Glory scent. I was using this at the same time as the body butter so the two of them together were heavenly. Lastly I used up another of my Penhaligon’s shower gels, this time in Blenheim Bouquet. I’m on my last Penhaligon’s shower gel now, I think I’ll be really disappointed when they’ve all gone. I’ve used up another Sure deodorant this month. I really like Sure, when I finished this I picked up a Mitchum roll on to try but had a bit of a reaction to it so am back to using my trusted Sure. 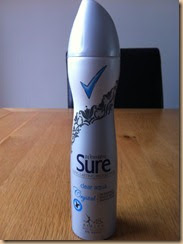 This is the no white marks deodorant which I always tend to use. This is the one product I am most disappointed about finishing. 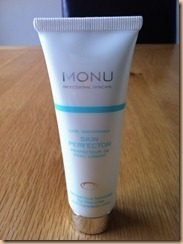 It’s the Monu Skin Perfector which again was a sample I got in my GlossyBox a few months ago. I can’t actually say what it does to my skin but safe to say that now I have stopped using it I really do miss it. I used to apply it to my skin after my shower and before I moisturised. I found it to be a really good base for makeup and didn’t get any product build up when applying foundation etc. I would definitely buy this again I think, I really enjoyed it! I also used up a lip balm this month. 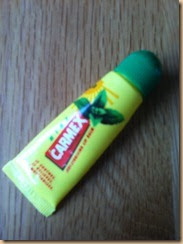 I am a huge Carmex fan, I suffer with dried and chapped lips 365 days a year and always used to use Vaseline until I had this recommended to me. I absolutely love it although I’m not really a fan of the mint one, I prefer the original. I am currently using a Balance Me lip salve that I got free with Glamour magazine this month and I can honestly say that it is stiff competition for the Carmex. Who knows what I’ll use next. 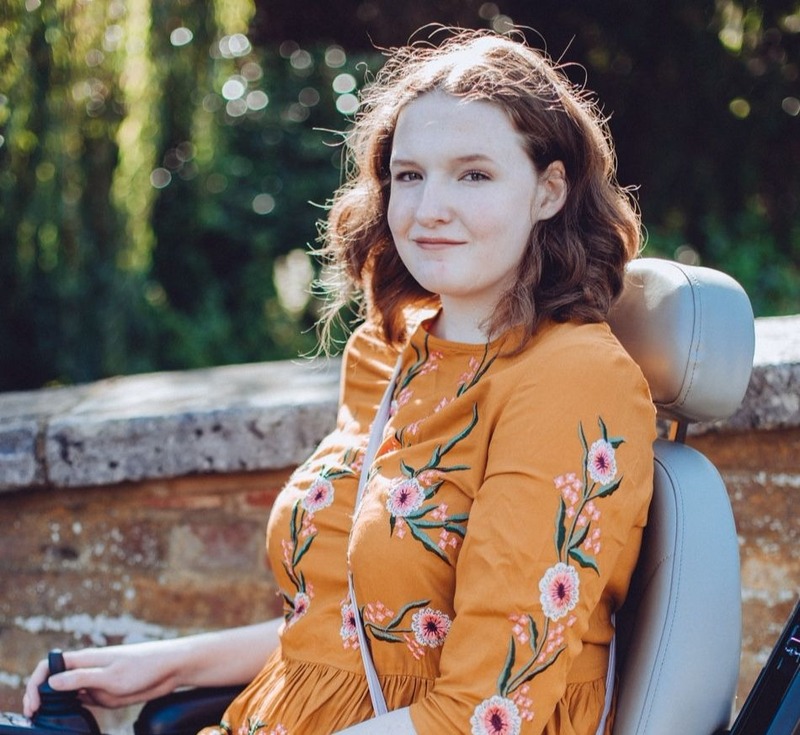 Just the one this month and I wanted to include it in this post because it is one of my favourites. 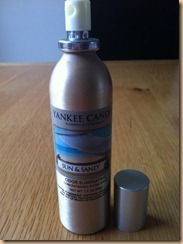 This is the Yankee Candle Sun & Sand Odour Eliminator room spray. It is one of my favourite Yankee scents and just a few sprays of this leaves a room smelling great for ages and ages. When you don’t particularly want to light a candle this is a great alternative to use. What products have you been using up this month?